*Join us for our SPRING 2019 semester Classes begin the week of APRIL 1ST! Come with your child and experience first-hand what a Music Together® class is like! Focus Dance Center has moved to Woodbridge! For our many families who have been enjoying taking class at Focus Dance Center for the Performing Arts near UCI and also for the many families who live in and around Woodbridge we are pleased to announce that Focus Dance Center has moved its location to a brand new beautiful studio space in the Woodbridge Village Center" 4742 Barranca Parkway. Join us at this lovely location across from the lake on Tuesday or Wednesday mornings! For those of you who prefer being nearer UCI we still offer many classes in Corona Del Mar, just up and over the hill on Monday mornings at CYC and on Thursday and Friday mornings at Community Congregational Church. Looking forward to welcoming you all to class this fall! While we are no longer offering classes at Turtlerock , we have added two Saturday morning classes at 9:30 and 10:30 am with instructor Julie Boies at the beautiful Marina Park in Newport Beach. There is a little beach and playground as well as a nice cafe right on the bay next to this state of the art facility and free validated parking for class participants. Tuesday classes are being offered at Focus Dance Center for the performing arts at 9:15, 10:15 and 11:15 am in the newly renovated Woodbridge Village Center with director and teacher Judy Woodson, and Tuesday classes with Sarah Baxter are being offered at 9:30 and 10:30 am at Costa Mesa Danscene, an immaculate studio with good freeway access. A Monday morning 10:15 class with instructor Julie Boies has been added to our Northwood location at United Studios of Self Defense in the Northwood Village Shopping Center at Irvine Boulevard and Yale. This is a very child-friendly studio with a soft matted floor where we love holding classses. *Please not that Monday and Tuesday classes at the above locations will appear more expensive than they were at Turtlerock but are actually the same exact price at Focus Dance Center and United Studios and $10 less at Costa Mesa Danscene. This is because the $42 curriculum fee owed the first day of class at Turtlerock is already included in the tuition and nothing further is owed the first day of class. There is a $40 discount for registered siblings and infants under 9 months may be registered with a registered sibling for free. Additional location in Corona Del Mar! These classes are offered directly through South Coast Music Together and are the exact same price as at our classes offered through the city of Newport Beach. (They will appear more expensive, but it is just the $42 curriculum fee is paid up front, already included in the tuition, so there is nothing further owed the first day of class.) There is a $40 discount for registered siblings, and infants under 9 mths may enroll for free. Mom’s clubs of Newport Beach, Costa Mesa, Irvine, and the Coachella Valley! 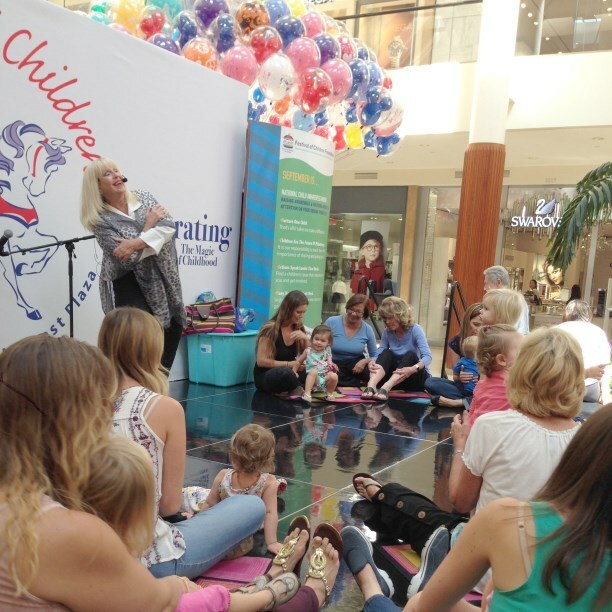 We will be happy to bring a free Music Together® demonstration class to your Mom’s club to introduce new families to our program and to educate them about the value of early childhood music education! Just give us a call to set up a time and place for your special event! We are pleased to announce that all classes are now available for online registration, (including Sunrise Martial Arts, Focus Dance Center, Community Congregational Church and Costa Mesa Danscene, Starlight Dance Center in Palm Desert and United Studios of Self Defense in Northwood.) Mail-in option is still available, but for added convenience and to help our families guarantee a spot in the class of their choice, we've provided this service which makes it possible to register 24 hours a day. New locations in Newport Heights and Corona Del Mar We are pleased to announce that due to your requests for a class in Newport Heights and the demand for more classes in Corona Del Mar, we have added Tuesday classes this winter at 2:45 and 3:45 and 4:45pm in Newport Heights at Cliff Drive Park and Monday classes at 9:30 and10:30 am as well as our infants only class at 11:30 am at Community Youth Center in Corona Del Mar. Both classes are offered through the city of Newport Beach Community Services. To register online click to register at the desired location and it will take you to city of Newport Beach's web site. Type in "South Coast Music Together" in the search box and it will pull up our classes so you can register through the city. Good News! New location in Costa Mesa! Good news! We are pleased to announce we have a new location in Costa Mesa at Danscene Dance Studio, 2980 McClintock Way Suites A&B where we are offering Thursday mornings at 9:30 and 10:30 am! Registration is open now! New classes in Northwood Good news! We are back in Northwood again this fall! Join our joyful and loving instructor Julie Boies on Thursday mornings at 9:15 or 10:15 am and on Mondays at 10:15 am. Take a moment to "like" us on Facebook and share your stories about how music is making a difference in your family's life! Thought our families would enjoy this sweet song my one of my colleagues! Pam Donkin shared a link to the group: PLANTING SEEDS OF LOVE. Val was in town nearby visiting her daughter and family and we got to...gether to make this little video. We sent the “parts” to Jim Coffey and voila, he edited it into a completed video. It’s a three part song, a zipper song, and a good song for Elementary Children’s Choruses! You can get the FREE mp3, lyrics, music notation and even backing tracks at "additional songs” link at the plantingseedsof love website too.